With Urban.com.au's Project Database now being expanded to encompass all of Australia, and more national content appearing on the site, it seemed like a good opportunity to highlight the country's future top 10 tallest skyscrapers on the horizon, not including those already completed. Not surprisingly the eastern seaboard cities are leading the charge, with Gold Coast possibly losing and quickly regaining the title should the Orion Towers development come to fruition (no spire required this time). 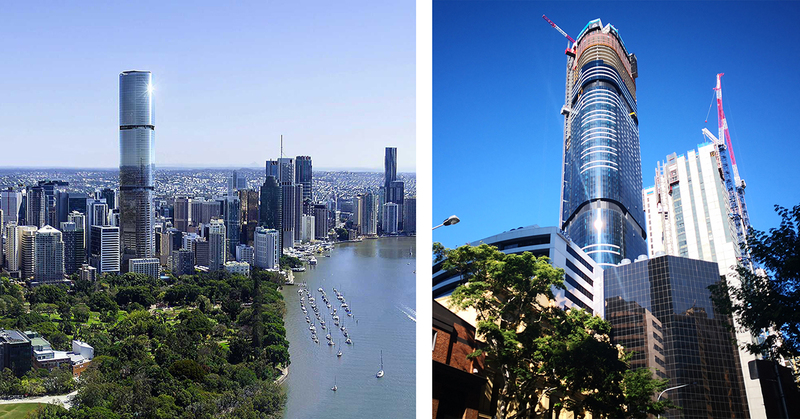 Melbourne boasts four potential entries, Brisbane and Gold Coast share half the towers between them, while Sydney has a solitary entry on the list in the form of Crown's hotel and resort development at Barangaroo. 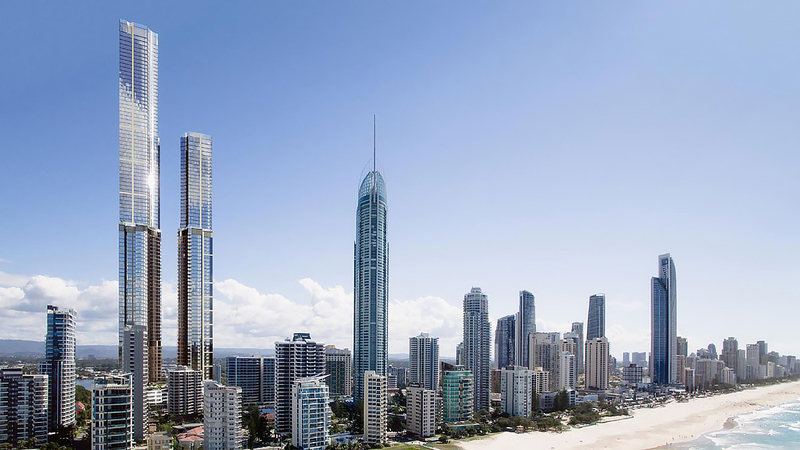 The $1.2b twin-tower development in Surfers Paradise known as Orion Towers will host the tallest building in the Southern Hemisphere soaring 103 storeys high for a total height of 328m, inching out Melbourne's One Queensbridge by 5m. The development will also feature Australia’s highest observation restaurant on level 101 offering 360-degree views. 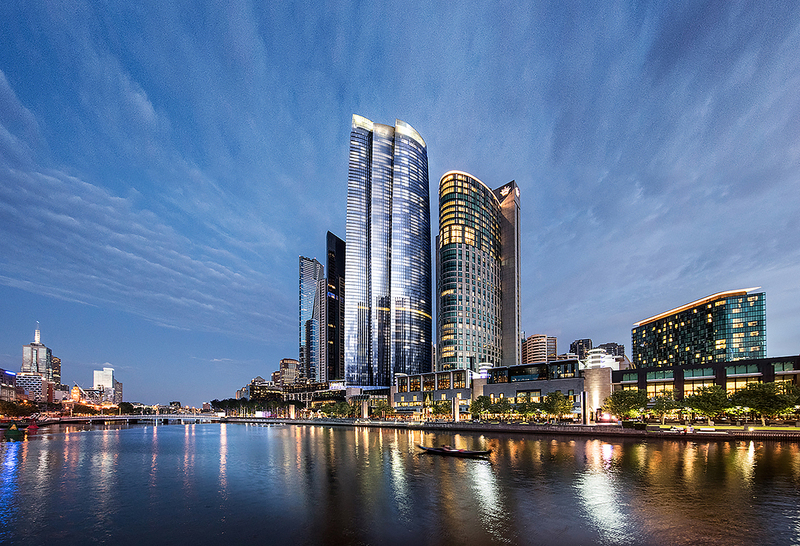 A JV between Crown Resorts and Schiavello, the Wilkinson Eyre designed goliath is yet to commence, despite approval from the Planning Minister and an expression of interest campaign. The Age reported late last month that as part of the approval, a deadline for February 2019 had been set to commence construction of the project, yet no update plans have been submitted for final endorsement. This doesn't necessarily indicate that the project won't happen but rather that a project of this magnitude takes time to get off the ground. 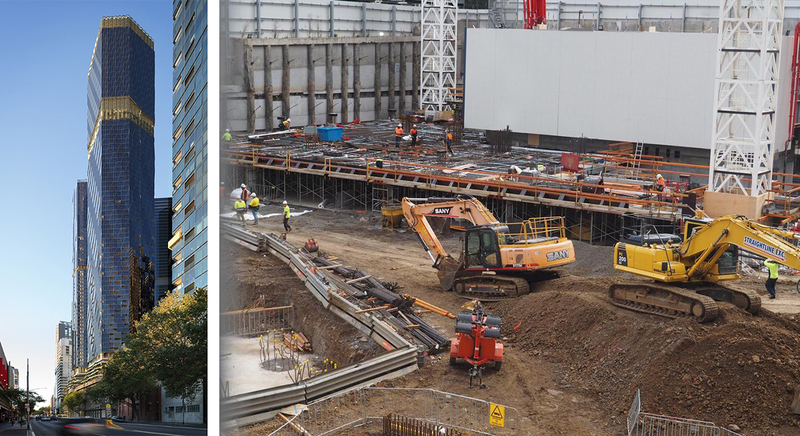 Melbourne's tallest building and the tallest residential tower in the southern hemisphere (to roof) is continuing its rise opposite sister tower, Eureka. Australia 108's core recently reached level 60 with the floorplates now well over the halfway mark. This has also coincided with the first residents beginning to move in as part of the completion of stage 1 this month. You can read more about it here. 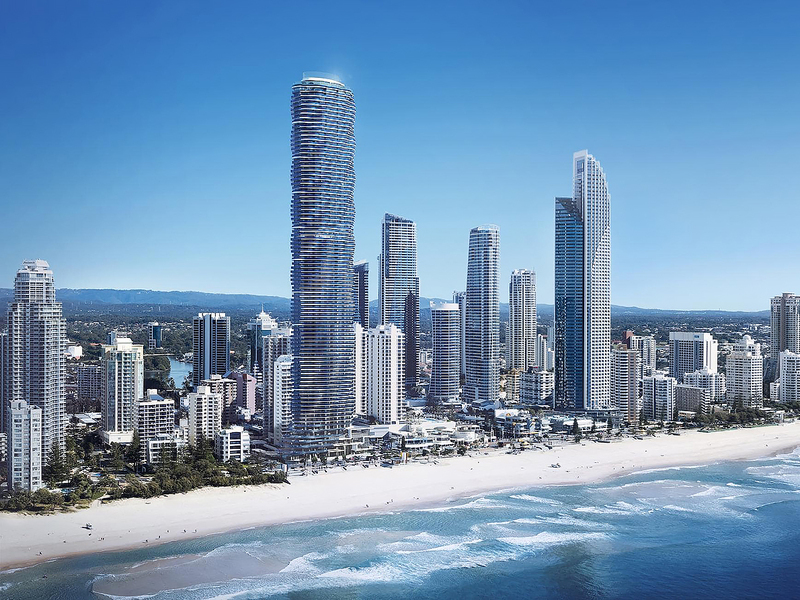 Designed by DBI Design who have previously designed other notable towers on the Gold Coast such as Oracle, Jewel, SOUL Tower and The Wave, Spirit was to have been the tallest building to roof in Surfers Paradise prior to Orion Towers' entry onto the list. The design features a dramatic wave across its facade similar to The Wave, but on a grander scale. 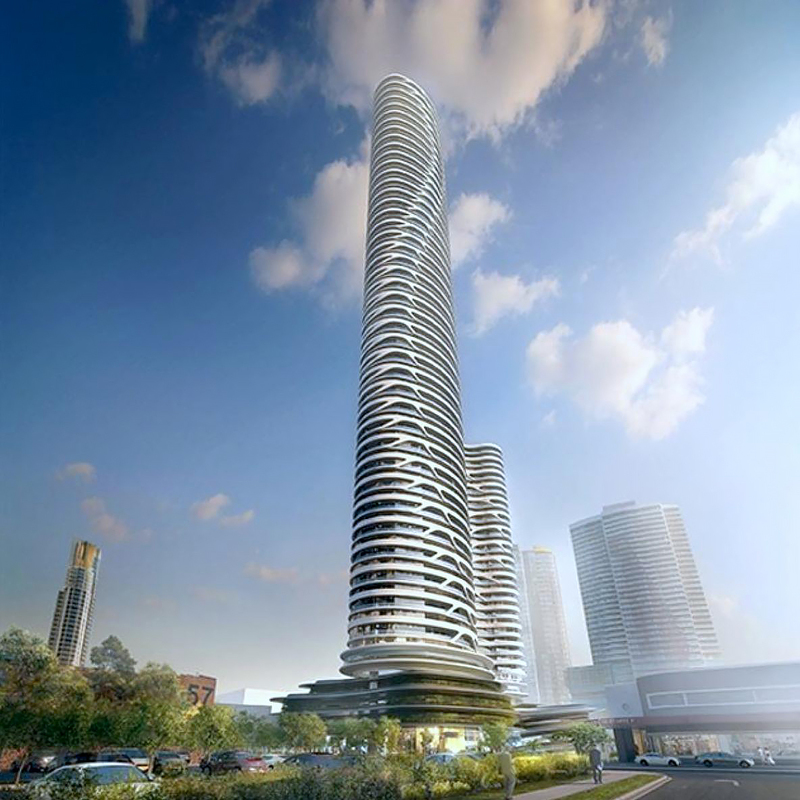 The current proposal replaces an earlier scheme for Iluka Tower, following Forise Holdings purchase of the site in 2015. DBI Design's second entry on the list is for a dual tower on the Southport site of the former Regent Cinema, which has remained empty since it was cleared to pave way for a now unbuilt scheme back in 1989. Cienna Square received preliminary approval back in April 2016. 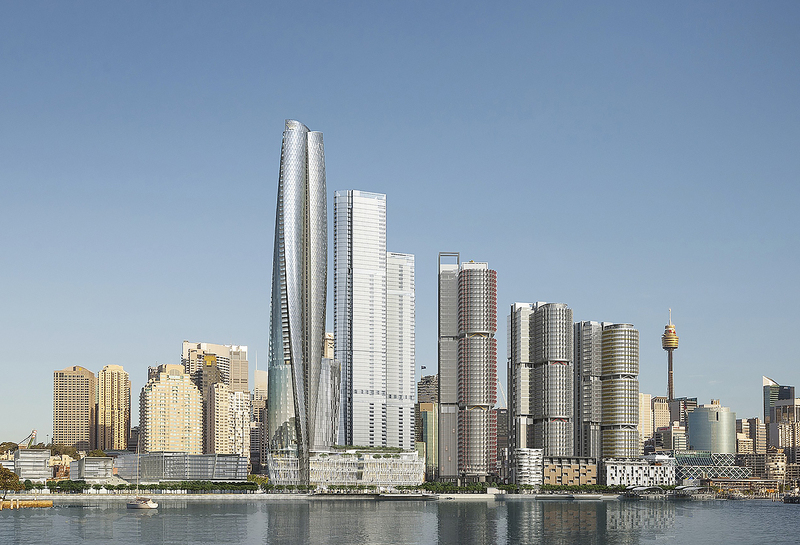 Crown Resorts' second tower on the list sees it once again collaborating with architects Wilkinson Eyre on what is set to become Sydney's tallest building, capping off the Barangaroo development. The tower is currently under construction and targeting a late 2019 completion. 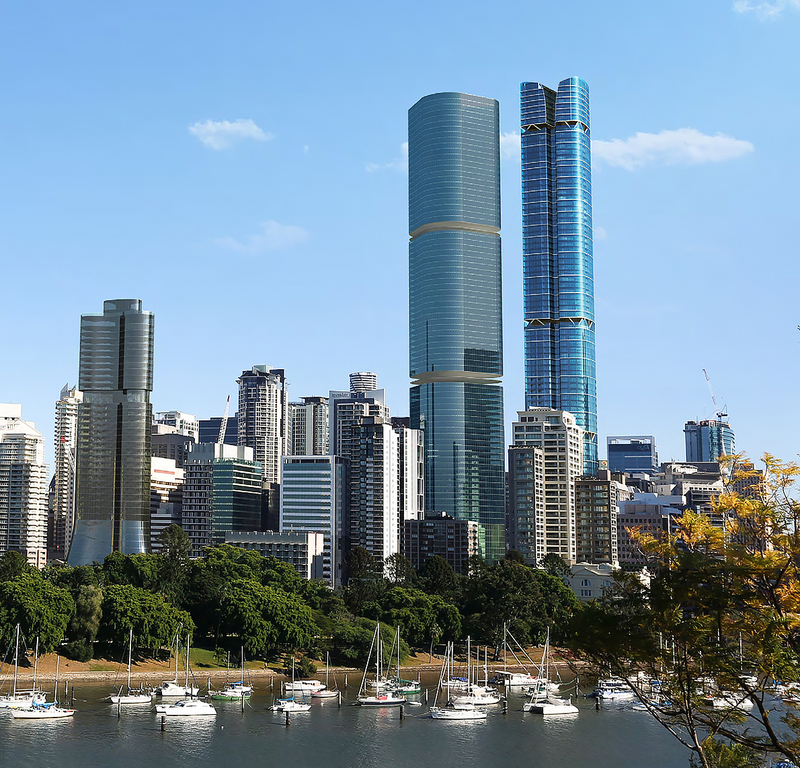 Billbergia and AMP Capital's joint venture project, Skytower will become Brisbane's tallest tower and bookend the southern edge of the CBD, with the under-construction tower rising directly opposite the Botanic Gardens. World Class Land's second entry on the list following its Australia 108 project will reach the same height as the neighbouring Skytower development. This is the maximum height allowed in Brisbane as a result of Brisbane Airport radar shadowing issues. Far East Consortium's second Melbourne development has begun rising on the city's western edge, continuing the transformation of the once-maligned Spencer Street. 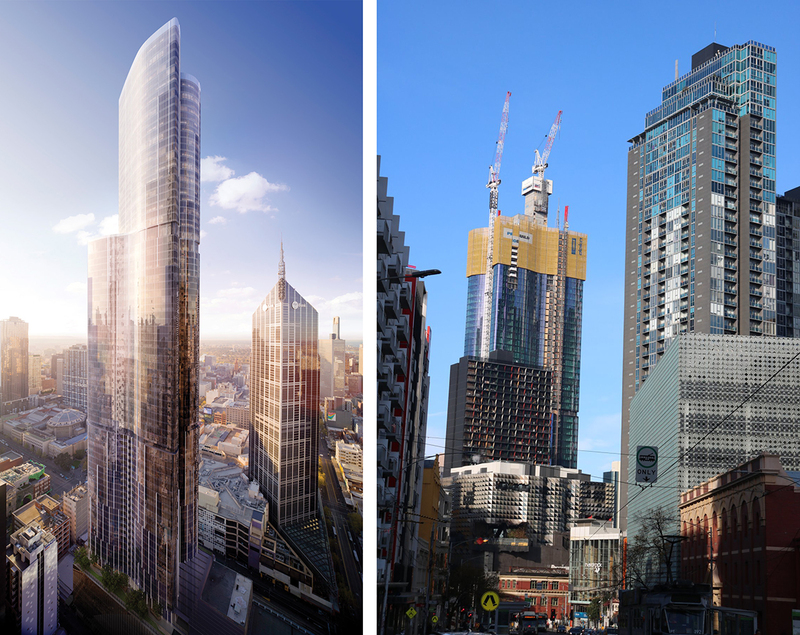 The first stage which comprises two towers will feature the development's tallest tower comprising apartments and Melbourne's first Ritz Carlton hotel. Probuild recently announced that the tower's core has passed the height of Melbourne Central's antennae. The 84-storey behemoth will further add to Melbourne's growing number of skyscrapers on the CBD's northern fringe and in the process become the tallest tower within the Hoddle Grid. It will be interesting to find out where Southbank by Beulah fits into this list after the architectural competition is completed.